George Gissing (1857-1903) lived a life worthy of the plot from one of his own novels. An exceptionally gifted man, born into relatively genteel comfort, he nonetheless managed to enter into two disastrous marriages with working-class women, got thrown out of university for stealing, spent a month doing hard labour in prison and died before the age of fifty. It is all the more surprising then, that he still managed to write twenty-three novels and over a hundred short stories, as well as works of literary criticism and a travelogue. This ambitious three-volume biography examines both his life and writing chronologically and in close detail. Coustillas's exhaustive research is based on all the known surviving Gissing correspondence, Gissing's works and every piece of literary criticism on Gissing from 1880 onwards. Press archives from England, America, the former Colonies, France and Germany have all been consulted. This approach, by the foremost authority on Gissing, allows new insights into his life and work. 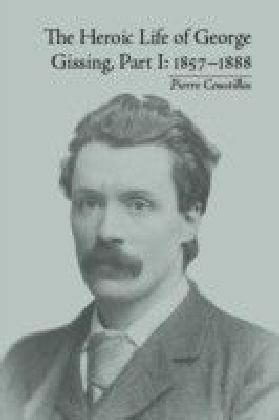 Part I covers Gissing's early life up until his establishment as a writer of moderate critical success. Gissing's precocious intellectual development propelled him to a scholarship at Owens College (now the University of Manchester), but while there his ill-advised love affair with the prostitute Marianne (Nell) Harrison led to him stealing to keep her off the streets and thence to prison. On release, he sailed for America and lived for a while in Chicago. It was during this period that he got his first chance as a writer, producing short stories for the Chicago Tribune. On his return to England Gissing married Nell and began teaching and writing novels. These early works are notable for their focus on poverty and the working classes.Part II assesses the period of Gissing's greatest authorial triumphs. His most critically acclaimed works, The Nether World (1889), New Grub Street (1891) and The Odd Women (1893) date from this time. His new-found commercial success even allowed him to give up teaching and concentrate on being a full-time writer. He was also able to spend time travelling and made three journeys to Italy, in 1888-9, in 1889-90 (including a visit to Greece) and in 1897 to Calabria. Always an autobiographical author, Gissing's personal life is here explicitly interwoven with the topics he writes on. Gissing married Edith Underwood in 1891, with whom he had two sons. His books from this period focus on the situation of women and the commercialization of the literary world. He was particularly unconcerned with writing to please his public and found the demands of his publishers to be a constant source of ill-feeling. 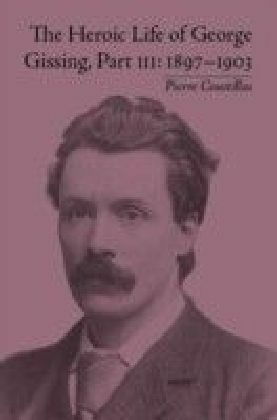 Indeed, the only criticism that interested Gissing was that which came from the cultural intelligentsia - from those who could distinguish 'between diamond and paste'.The final volume examines the turbulent last years of the author's life and his literary afterlife. After the break-up of his second marriage, Gissing's health began to decline and he was diagnosed with emphysema, precipitating his permanent move abroad. In contrast to his personal problems, his literary reputation soared and he formed new friendships with other writers of the day, including Henry James and H G Wells. He wrote Charles Dickens: A Critical Study (1898), travelled to Rome in the same year and produced By the Ionian Sea (1901) about his 'rambles' in Calabria. 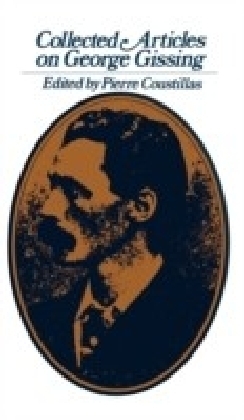 The last of Gissing's books to be published in his lifetime was The Private Papers of Henry Ryecroft (1903). The most autobiographical of his works, it was also his favourite, and the most widely-read in the years after his death. He died in France on 28th December 1903.